Home News A Farming Simulator Gaming League is coming soon! A Farming Simulator Gaming League is coming soon! Farming Simulator was developed by Giants Software and originally released back in 2008. Basically, if you combined FarmVille and RollerCoaster Tycoon into one epic series, you would get Farming Simulator. This game is a very therapeutic way of allowing yourself to wind down from the day and enjoy some brain-numbing fun. 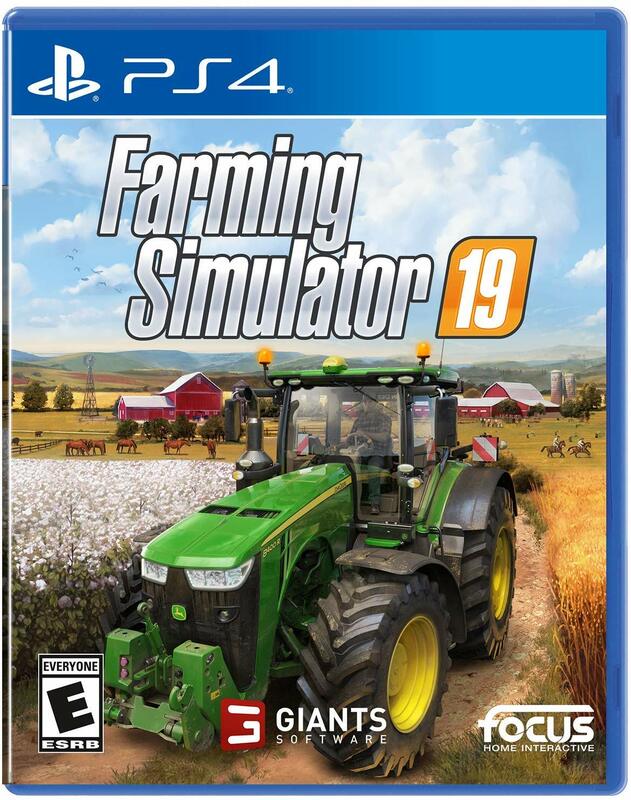 The newest addition to the family is Farming Simulator 19 and released on November 20, 2018. It comes with the largest list of vehicles that have ever been released, upgraded mechanics and graphics, as well as a few more additions you have yet to see in a Farming Simulator game. If you’ve been looking into getting Farming Simulator, or have been a longtime fan, check out below to see all the information we’ve collected so far! 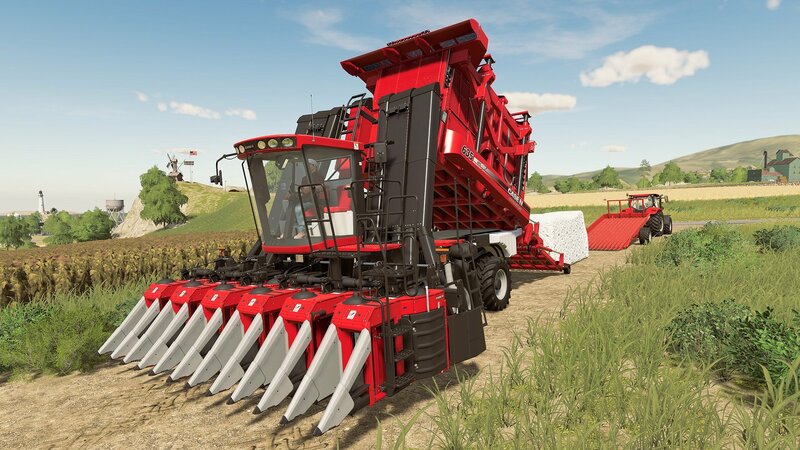 What’s new about Farming Simulator 19? Any time we get an update regarding Farming Simulator 19, we’ll drop all of that juicy information here! Make sure you check in on occasion to see if there is anything new! February 9, 2019 — Farming Simulator gets its own Gaming League! Based on an update, Giants Software tested a Farming Simulator Championship among the community. It turned out to be a huge success and it is now working with Logitech G, Intel, and Nitrado to breathe life into turning that Championship into a Gaming League. This league will consist of 10 tournaments across Europe. Contestants will receive rewards at the end of each session via circuit points for the best teams, physical prizes, and a total prize pool of 250,000€ ($285,286.25 United States Dollars). The total prize pool was determined between cash and physical prizes that will be divided between all 10 tournaments. The types of gameplay you can expect to see in this Gaming League are 3 vs 3 modes with interesting game elements added specifically for the challenge. We should expect to hear more from GIANTS software soon so make sure you stay tuned! Gender options are still available in the Farming Simulator series! Just within the first three seconds of the trailer, I’m already happy. Playing as a woman is an available feature that, while not new to the Farming Simulator series, is incredibly wonderful. Of course, the option to play a man is still available. It’s just refreshing to see games becoming more inclusive in the new age. Another thing you’ll notice in the trailer is the ability to ride a horse as well. This was something you couldn’t do in any of the previous Farming Simulator games. But now you can enjoy exploring the land from the comfort of your own steed. Back in August 2018 at Gamescom, Giants Software released a new trailer for Farming Simulator 19 that included all the sneak peaks we’ve been dying to see. As far as the basics go, you can still take care of your crops, raise livestock, control farming machinery, and then sell what you created for a profit. In the end, all of your work will pay out by allowing you to use those profits to continue upgrading your farm with better crops, equipment, and livestock. Another thing you’ll notice is all the new types of machinery, with all new sets of mechanics, that has been upgraded with this new release. This includes big brand names, like John Deere, finally coming to Farming Simulator as a type of machine your character can buy. It doesn’t stop there either. The AGCO IDEAL Combine Harvester, which was an agricultural machine that was only revealed at the Agritechnica convention in November of 2017, will also be a machine that’s available to you. That means you have the largest list of machines to buy, all new ways to take care of your crops, and you’re even up to date with the standards of the current farming life in the real world. You can enjoy all of the improvements to the graphics, mechanics, and missions with this newest addition to the Farming Simulator family. When you pre-order Farming Simulator 19 on Amazon you’ll also receive a Mahindra Retriever Bonus DLC, a super agriculture machine, to help in your goals of achieving the best farm. You don’t have to worry about being nickel and dimed to death with booster pack options. Giants Software has already stated that loot boxes and microtransactions won’t even be in this game. Your one and only purchase will be when you buy the game. They even released the information that not only will there be new machines and horses, but there’s going to be new crops for you to plant as well. All of this comes with new missions and jobs to keep yourself entertained for quite some time. But if you start getting bored with your missions, don’t worry. 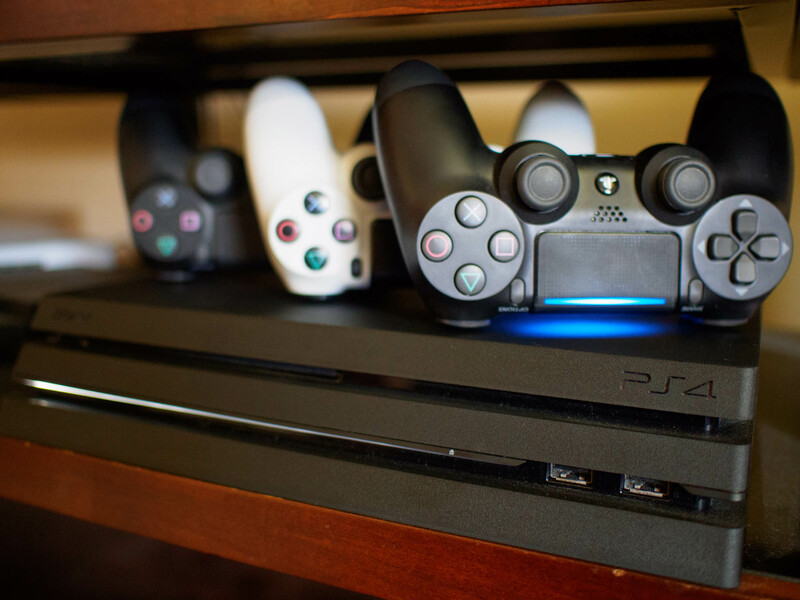 The PlayStation 4 version allows up to 6 people to play together in a co-op mode. This means you can take care of the farm with your friends. Designate someone to the livestock, send someone out to the store, and then divide up the jobs between the rest of you. Regardless of your decisions, you can either play with your friends for the fun of it, or you can play with them to complete tasks. The last and final thing you should know before grabbing your pre-order is the resolution options we’re expecting. While the PlayStation 4 will support up to 1080p, the PlayStation 4 Pro will support up to 1440p, and both of them will run at 30FPS. You should choose what kind of map you need based on how big of a farm you want. The American map comes with larger fields and bigger equipment. If you go for the European map instead, you’ll be met with smaller plots of land that are made to look more narrow. Once you get started, make sure you strategically plan the types of crops you want to buy. You always want to start with the most profitable to get yourself going. Once you get a bit of money under your belt you should immediately invest in a fertilizer machine to start using on your farm. In previous games, this increased your profits by 30%, which is more than enough to start getting you better machines. When you reach a comfortable state where you can finish all your chores, and still have daylight to work with, then (and only then) is it time to start getting some livestock. Regardless of how you play, Farming Simulator 19 looks incredibly promising, and you can buy it on Amazon right now! 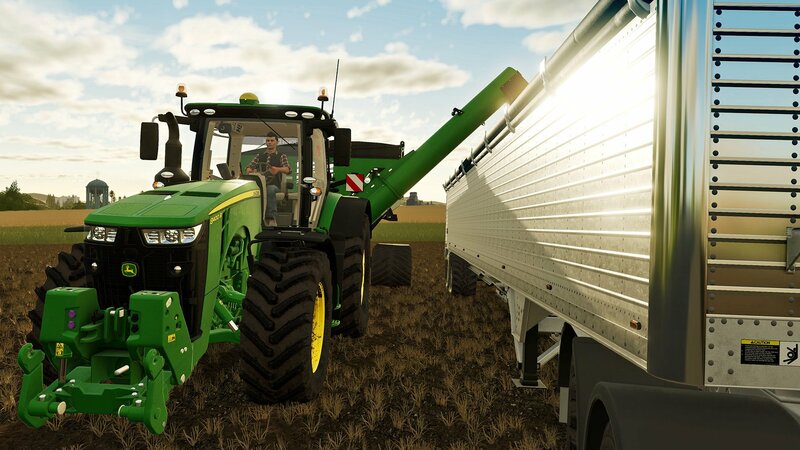 Updated February 2019: We’ve updated this article with information of the upcoming eSports gaming league for Farming Simulator 19!